I don’t think I’m alone in being a little bit scared of suspension jargon. I’m in awe of the guys who can bounce a bike up and down and tell if it’s any good or not on feel alone. But despite not being able to describe the problem in technical terms, I’ve known for a while that my Hornet’s suspension is all wrong. 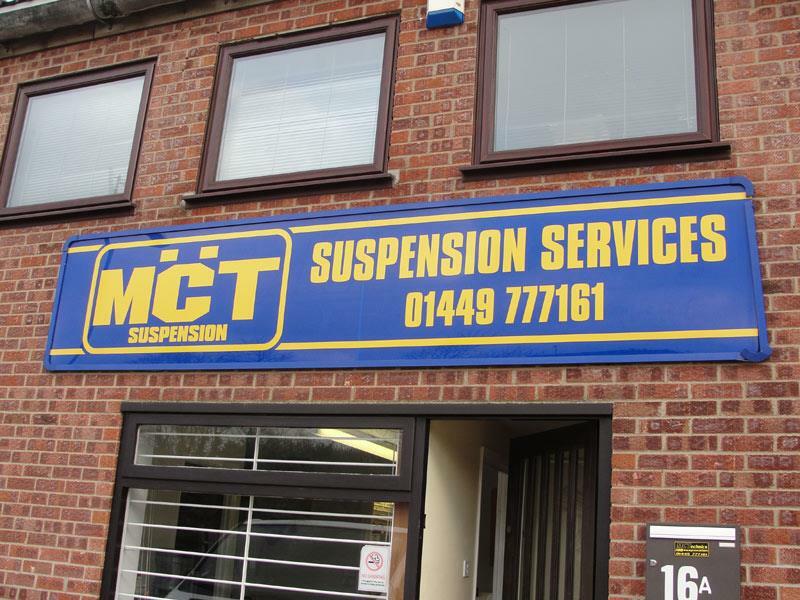 So I took it to see a suspension tuning company called MCT Suspension in Stowmarket. 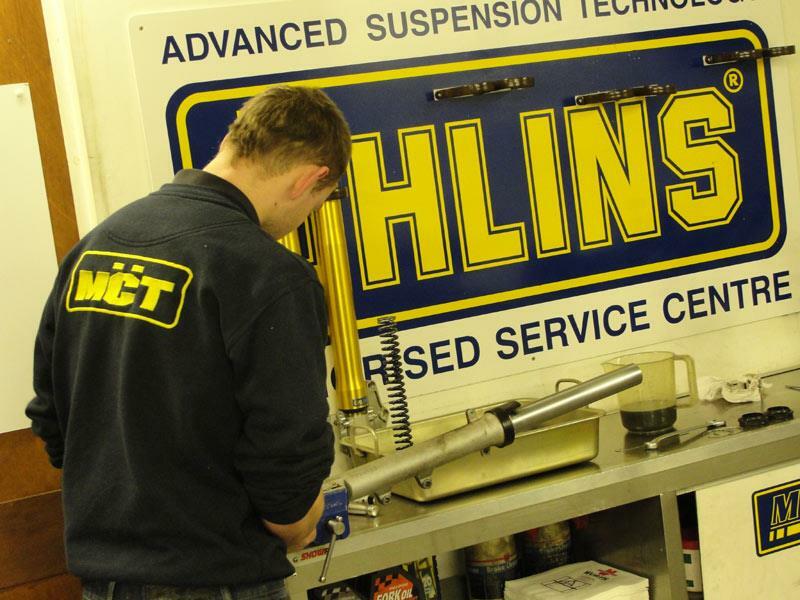 Buying expensive aftermarket suspension for a bike that’s worth less than a set of Ohlins forks would be crazy, so I chose MCT because they offer a very professional set-up service to suit pretty much any budget. They do anything from a simple setting adjustment right up to a money-no-object shock/fork replacement and firmly believe that original equipment can work brilliantly if set-up correctly. 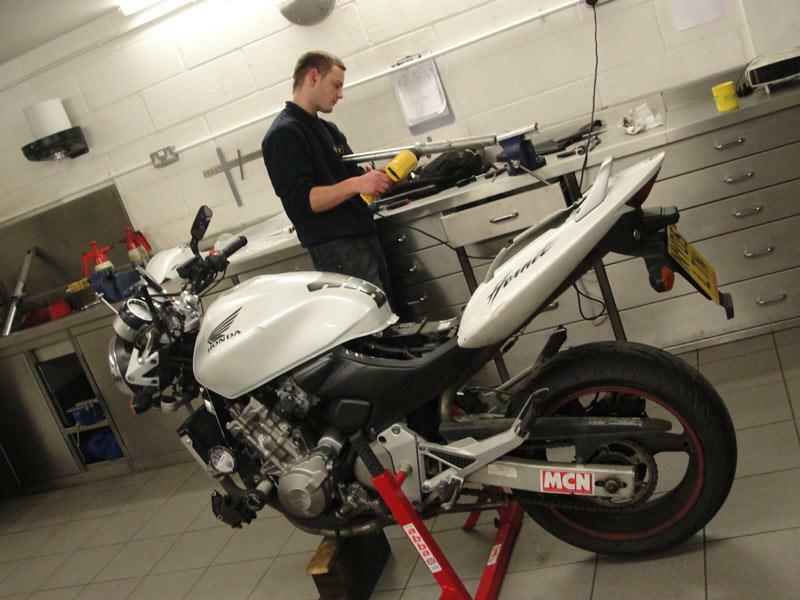 In my case I opted to have the shock and forks rebuilt and set-up to suit my weight and riding requirements, which took about 3 hours and cost less than £250. It only took a quick bounce on the bars for the guys at MCT to see that all wasn’t well with the Hornet. 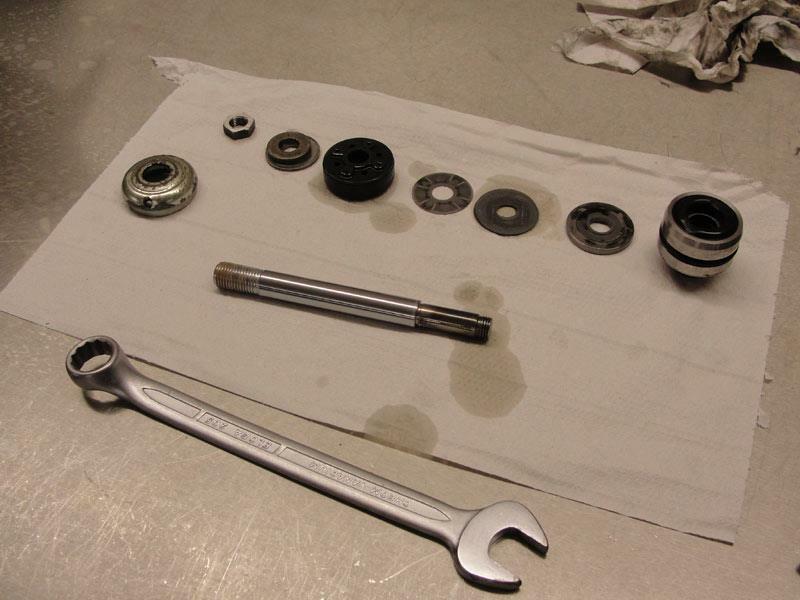 The initial diagnosis (which proved dead right) was that the fork springs were too soft and the oil was too heavy. This means that they compressed too much over bumps or under braking and then took too long to rebound back, effectively leaving the bike without suspension for the next bump or braking point – in technical terms, they were under-sprung and over-damped. 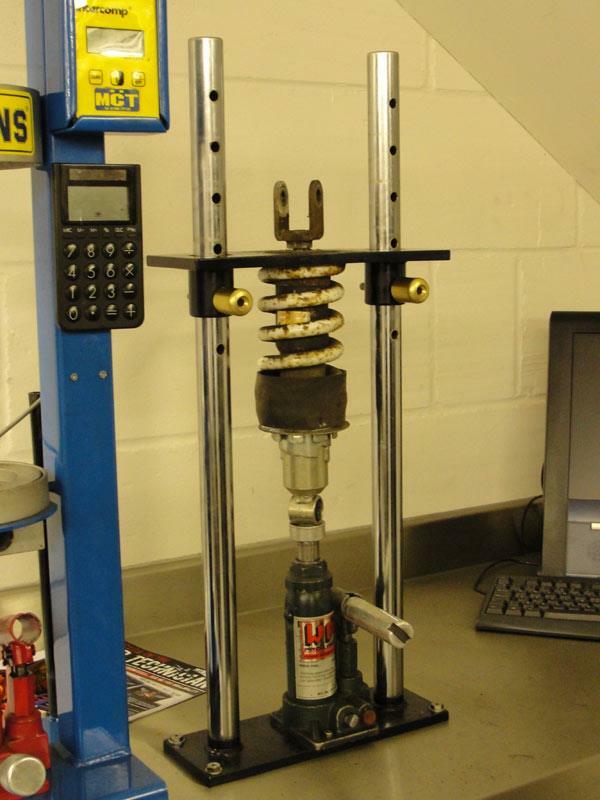 MCT cured this with 0.875kg/mm springs, 15w oil, 14mm of preload and 29mm of static sag. 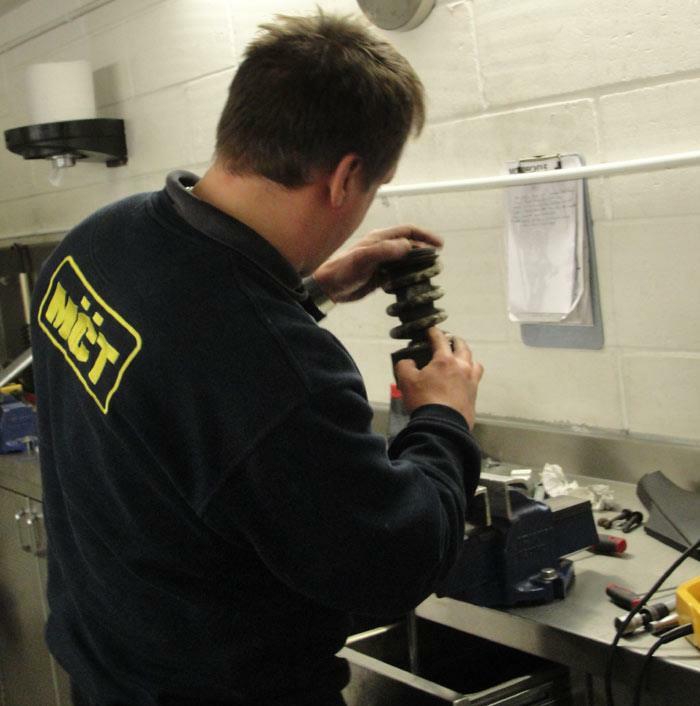 Many companies will tell you that the damping unit on a shock absorber isn’t serviceable, conveniently meaning that you have to buy a whole new shock from them. But MCT disagree. They stripped and rebuilt my whole shock, adding more damping to stiffen it up without the need for a new spring, so I saved money by keeping the original one (which looks tatty, but works perfectly well). I have to admit that my biggest fear as a suspension no-nothing was that I’d go down there, have all this done and not even be able to tell the difference. But instead I can barely believe it’s the same bike.  It’s better than new – especially since it’s been set-up specifically for me. 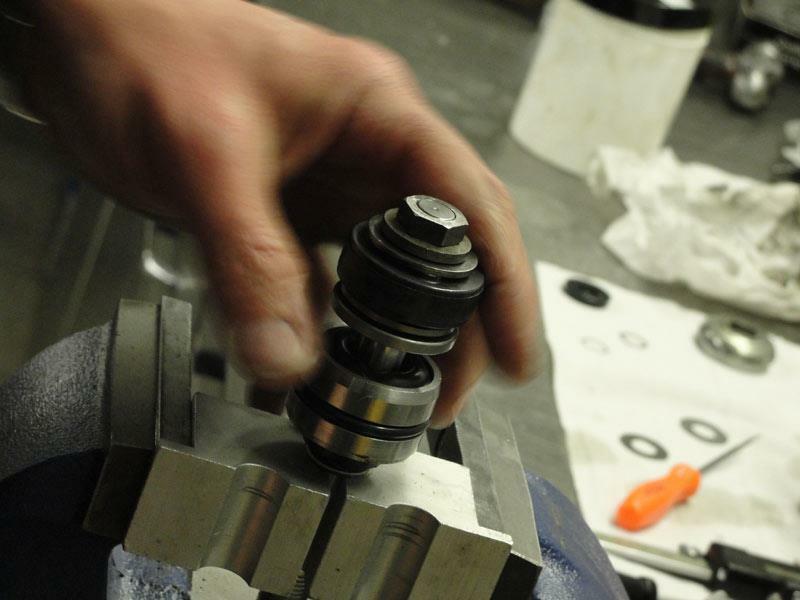 If you want to make your bike better, whether it’s a track bike or a commuter, start with getting your standard suspension sorted. My only regret is not doing it 2 years ago. 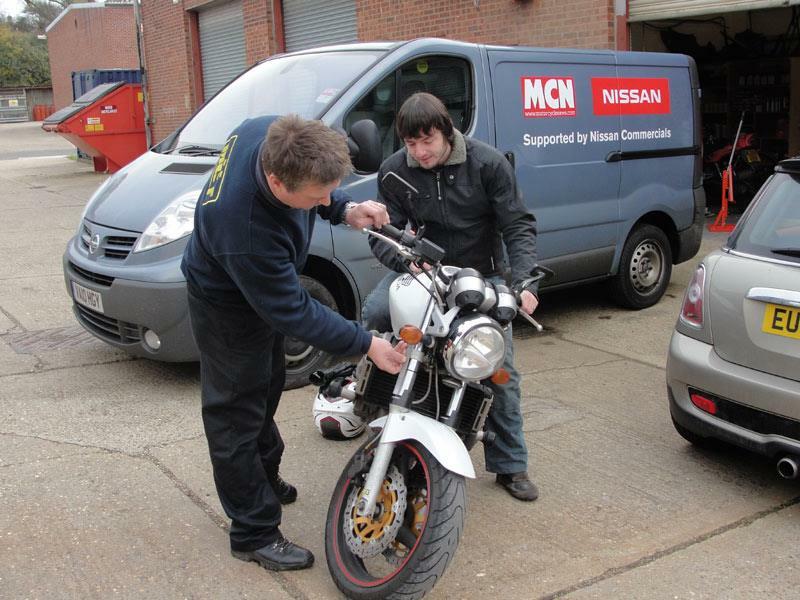 "A versatile motorcycle that's fun and practical"
"Fireblade powered hooligan? More like fireplace and Val Doonican"
"A fairly joyless machine that barely redeems itself as a reasonably efficient commuter"
"The only thing the CB1000R lacks is a bit of soul"